The institute is equipped with the latest state of art facilities required for a well-run professional pharmacy college. 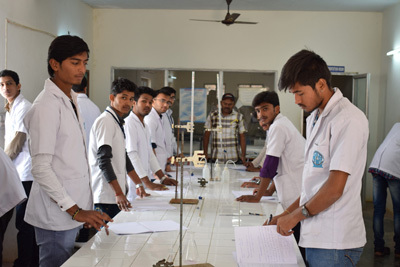 The Managemnt has provided separate building for pharmacy with well-equipped laboratories, machine room, Library and museum as per the norms of Pharmacy Council of India (PCI), All India Council for Technical Education (AICTE) and Rajiv Gandhi University of Health Sciences (RGUHS). Multi media projector, OHP, side projectors are installed wherever necessary. The institute maintains a museum that is designed with a good collection of physiological specimens of the human body, biological specimens, color slides of the important medicinal plants, crude drugs and display of popular patented medicines along with different sizes of tablets, capsules and other formulations with different shapes. The Library well quipped with sufficient volumes of books, periodicals and journals, networked computer with Internet facility and CD-bank. The library is continuously updated with latest editions. The library is having Helinet facility that will give access to the latest periodicals, Magazines, Papers and books of Pharmacy. The reference section of the library I equipped with important reference books, literature, pharmacy syllabi and previous question papers that will help the students during their period of study. Photo copying machine is installed in the library for the usage of the students. The library is opened for the students from 9am to 10pm on all the working day and on Sundays it is open form 10am to 2pm. Separate Hostel facility for Boys is provided in the Campus. Mess with both South & North Indian food is attached to the hostel in the Campus. Double and triple bedded accommodation is available to the students. We equipped gym, indoor and out-door game facilities are provided to the inmates of the hostel. Bank of Baroda, Vondar Branch is located adjacent to the college campus. Post office & other facilities area also available to the students that are very near to the campus. Bus facility is available to the students. Students are provided with guidance and coaching for TOFEL, GRE and GATE and to continue further studies abroad. Students are encouraged to become members IPA, Channapatna Branch and IPSF of FIP and attend and organize workshops and seminars. 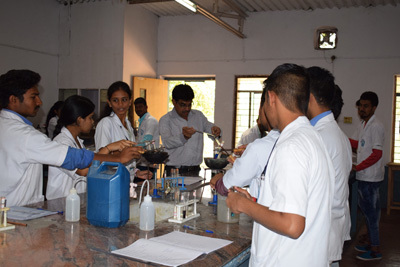 This facilities the students to gain practical knowledge of community and clinical pharmacy. Regular industrial tours are organized the students. Separate placement cell is formed for counseling and guiding the students for securing jobs. Parents/Guardians are requested to read the Rules and Regulations of the Institution and are expect to take interest in the activities of the college. Parents are expected to co-operate with the college authorities in enforcing regular attendance of their ward and to interact with the college authorities regarding the performance of their ward. Parents Council comprising of parents, managements, governing council members and teachers will meet periodically to discuss all activities of the college and to implement the resolved decisions to achieve academic excellence.